Washington, D.C. – The trail of bodies that follows the Clinton machine continues to pile up. Even during Hillary’s run for the White House, as in just the past two few days, two notable anti-Clinton activists have died under mysterious circumstances. 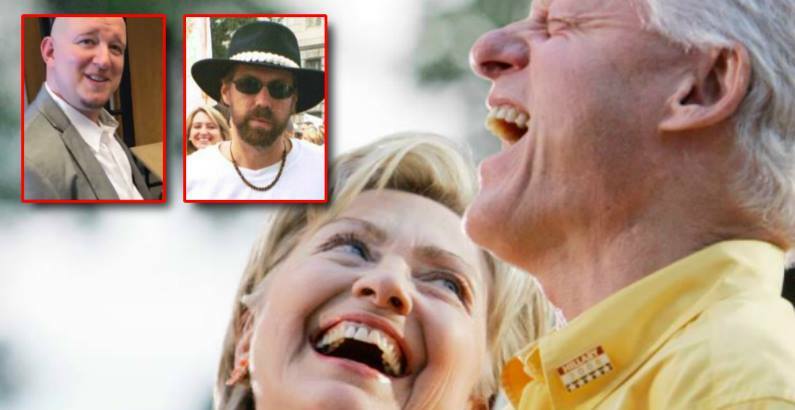 Renowned anti-Clinton researcher and writer for American Free Press (AFP), Victor Thorn, whose birth name was Scott Robert Makufka, was found dead from a gunshot wound near his home on August 1. It was his birthday, and he would have been 54-years-old. When questioned about Thorn’s death, State College, Pennsylvania police told AFP that “something happened” but refused to confirm even the victim’s identity. Now, four days later, no further information has been released, nor has an obituary surfaced online. Best known for his investigate research on the Clintons, Thorn wrote the Clinton trilogy —three definitive works that delved into the history of the power couple including their sordid scandals, Bill Clinton’s sexual assaults of multiple women, and the drug running out of Mena, Arkansas while Clinton was governor of the state. While undoubtedly attempting to debunk the Lucas-Clinton connection, as they generally operate as an unreliable left-wing political hit squad, Snopes actually confirmed information about Lucas’ death. The outlet said they have contacted Lucas’ employer for information about his death, but a distraught person on the phone was unable to confirm anything or offer further details other than that Lucas had died on August 2. Both of these deaths come on the heels of another suspicious, Clinton connected, death in late June. After former U.N President John Ashe was found dead, the U.N. claimed that he had died of a heart attack, according to the New York Post’s Page Six. Suspiciously, that claim was later disputed by local police officers in Dobbs Ferry, New York, who said that Ashe had died from a crushed throat during a workout accident. Ashe, while not scheduled to testify against Clinton herself, as widely reported, was due in court with Chinese billionaire co-defendant Ng Lap Seng. Ashe was accused of receiving at least $500,000 in bribes to use “his official position to obtain for Ng potentially lucrative investments in Antigua,” according to a criminal complaint charging Ng.